Creating a successful hummingbird habitat is relatively easy to do. Even the smallest garden can provide the basic hummingbird needs -- food, water, perches, shelter, and nesting sites. Since hummingbirds receive most of their energy requirements from nectar-producing flowers, it is important to include a variety of annuals, perennials, trees, shrubs, and vines in your garden. What should I look for in a plant? Ruby-throated hummingbirds migrate in the spring, arriving in the northern parts of the country in April and May. They need nectar sources that provide them with food from about May until frost. When selecting your plants, consider varieties with overlapping bloom periods to assure a continuous supply of nectar. Flower color and shape are also important to keep in mind. Most blossoms favored by hummingbirds are tubular in shape and brightly colored. Scent is not a primary flower attractant for hummingbirds. Select a variety of heights for your flowers, shrubs, and trees. Male hummingbirds like to perch on tall trees to watch for predators. Female hummingbirds often make their nests at least 3 feet off the ground, in the crotches of trees on the outside of a down-turned branch. Shrubs provide nectar sources, perches, and shelter. Hummingbirds appreciate an abundance of different flowers, from container-grown annuals to tall garden specimens. Annuals - There are a variety of brightly colored annuals that attract hummingbirds. Fuchsias are the first to come to mind, as well as Impatiens, Nicotiana, Canna, Cleome, Calibrachoa, Lantana, Browallia americana, and Verbena. Annual collections with bright Petunias or hanging Begonias are particularly effective for attracting hummingbirds. Annual vines include Mandevilla, Thunbergia, and Morning Glories. Perennials - A list of favorite perennial plants would include Agastache , Alcea , Columbine (Aquilegia), Milkweed (Asclepias), Astilbe , Campanula, Delphinium , Foxglove (Digitalis) , Heuchera (Coral Bells) , Hosta , Lobelia, Lupine, Bee Balm (Monarda) , Penstemon, Phlox , Salvia. Trees, Shrubs, and Vines - Evergreen and deciduous trees form the framework for your garden landscape and provide nesting and perching locations for hummingbirds. In addition, (Dogwood) and Redbuds are seasonal nectar trees. 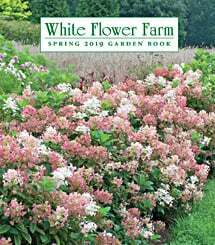 Favorite shrubs include Butterfly Bush (Buddleia), Elder (Sambucus) , Lilac (Syringa) , Flowering Quince (Chaenomeles), Rhododendron, and Viburnum . Hummingbirds are regular visitors to hardy vines such as Trumpet Creeper (Campsis) and Honeysuckles (Lonicera sempervirens). As you complete your hummingbird garden keep in mind that birds appreciate water close by, so make sure to include a bird bath. And keep at least one Vintage Hummingbird Feeder in a shady spot filled with fresh nectar. Then all that's left for you to do is sit back and enjoy these amazing winged beauties.